Are your holidays too hectic? 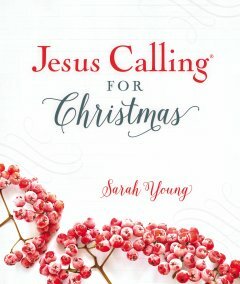 Take a few minutes to savor the season with this beautiful Christmas edition of Jesus Calling devotions, a perfect gift that includes 50 short selections along with festive and breathtaking imagery. I dare you to read this book and not fall in love! Each story put me more into the true spirit of Christmas. They stories are short enough that I have been reading one before bed each night. The book is also small enough that I can tuck it into my purse. I hate when I go to the doctors and spend 20 minutes in the waiting room, now I don't mind so much seeing as it gives me time to read. And the photos in this book are stunning! It is truly a book that will leave you in awe.